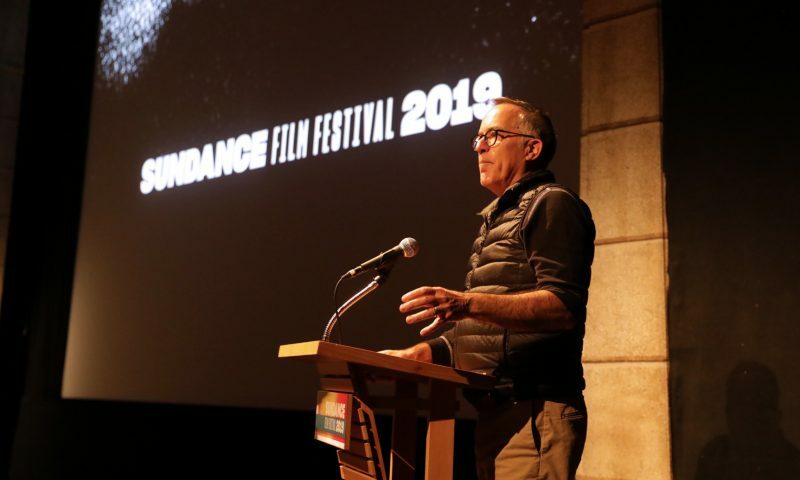 Thirty-four years of small-mountain-town, indie film, hustle and bustle continues in streets of Park City, UT during the 2019 Sundance Film Festival. 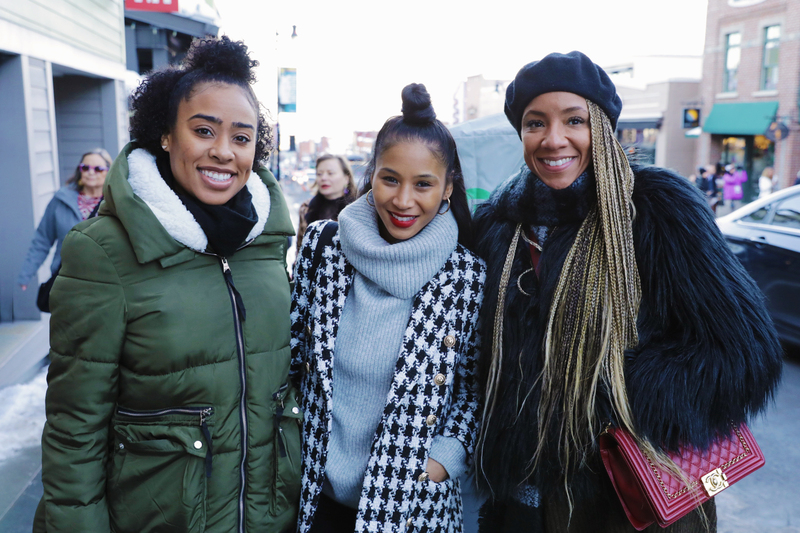 Attendees arrive by the thousands from all over the globe to see the latest releases in independent film, the talent involved or perhaps just visiting the beehive state for some shopping and fresh air. With events strewn about Main Street and the surrounding neighborhoods, you first have to find parking or take advantage of the free, public transit from venue to venue. 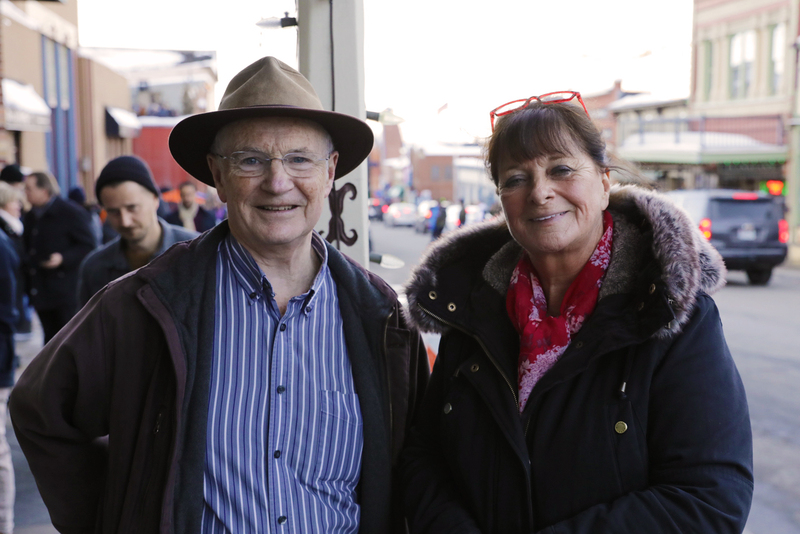 With everything within walking distance from a bus stop, you can be on your way by foot to get some food, a coffee, hit the slopes or head to a film premiere. With too many releases in any one year to take in, a schedule is a must. 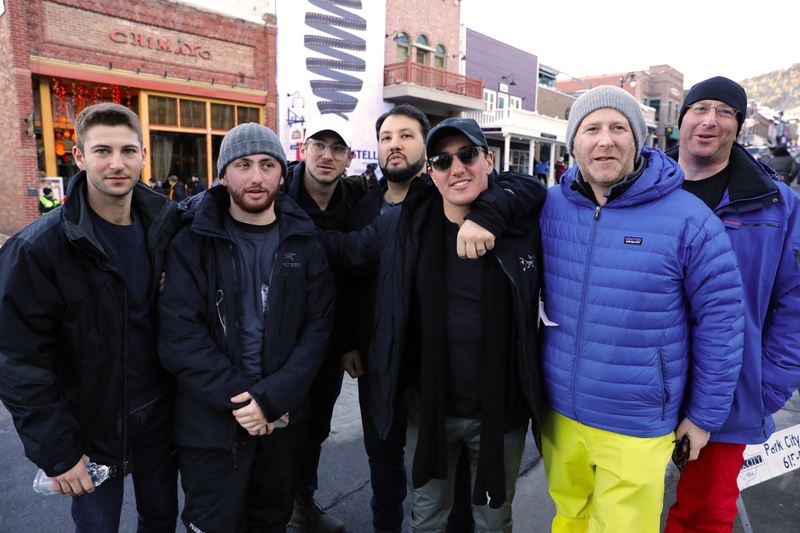 The first stop is hitting the SundanceTV Headquarters for the official kickoff party at the top of Main Street. 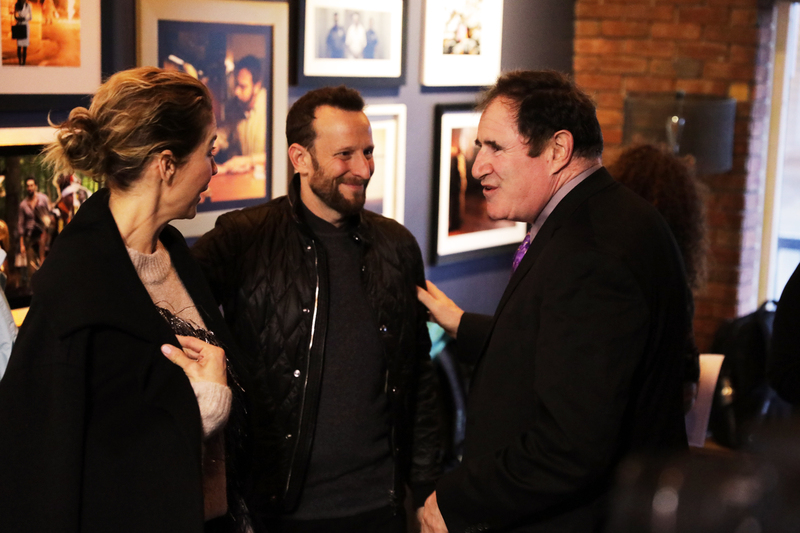 Actors Jenna Elfman, Richard Kind, Director A.M. Lukas and droves of special guests mingle and enjoy the warmth as the sun heads down over the first day of the festival. Over the busy first weekend, other releases and red carpet events include Indie Sci-Fi flick I Am Mother premiering at the Eccles Theater in Park City; an Australian thriller/fantasy flick that centers around the story of “a teenage girl raised underground by a kindly robot “mother” designed to repopulate the earth following the extinction of humankind. But their unique bond is threatened when an inexplicable stranger arrives with alarming news.” Starring Hilary Swank, Clara Rugaard, and voice talent, including Rose Byrne (not pictured). Whether you are a celeb seeker, film buff, ski junkie or just in town for the world-famous annual event, Sundance Film Festival goers are bound to have a great time as long as they plan their days out, have a plan for getting around and bring some extra spending money. Just make sure that no matter how you Sundance, you do it with a warm outfit and and some gloves. 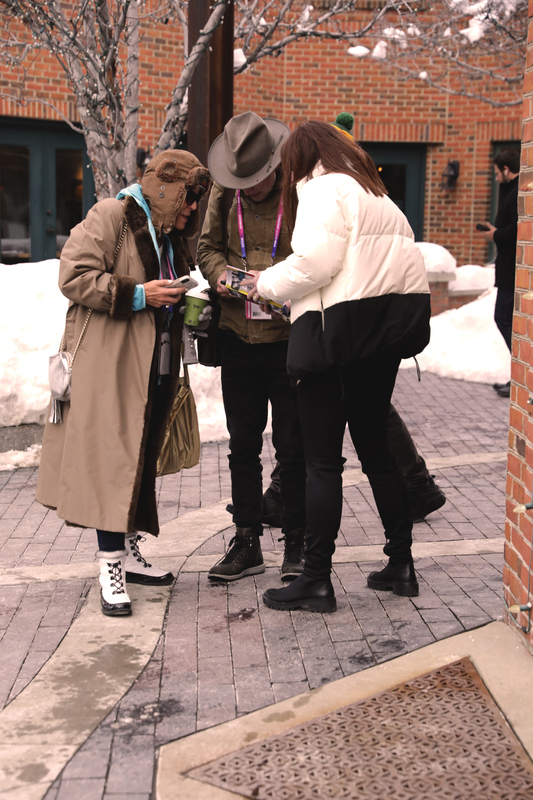 Sundance Film Festival goers Courtney, Roe and Celeste enjoying their day on a stroll down Main Street in Park City. Hailing from the UK, John and Diana Merrick-Thomas enjoying a day on their regular, yearly trip to Park City, UT. 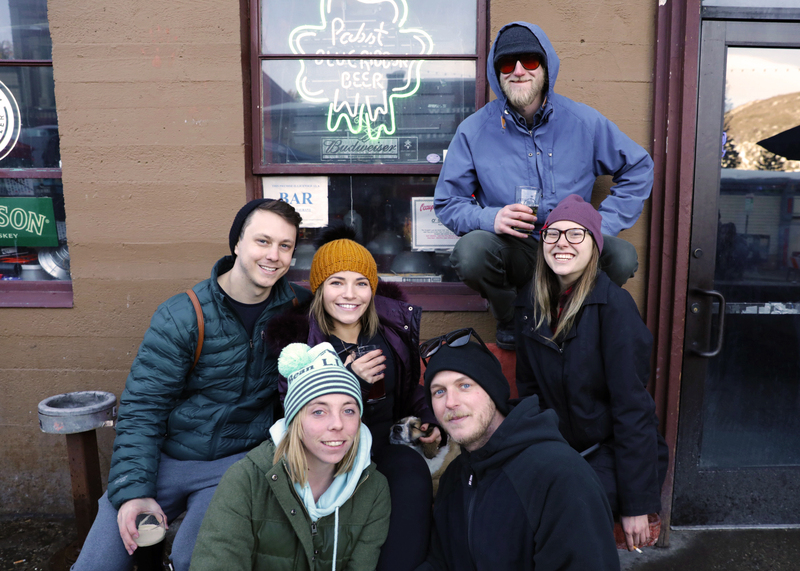 Sarah, Ann, Sam, Chad, Bud and AJ taking over the warmed stone benches on Main Street in Park City to keep the chills away during Sundance Film Festival. A gaggle of cousins in from the Northeast celebrating a few birthdays with a ski trip to Park CIty (it also happens to coincide with Sundance Film Festival). The iconic Egyptian Theater Marquee as seen from Main Street in Park City, UT. 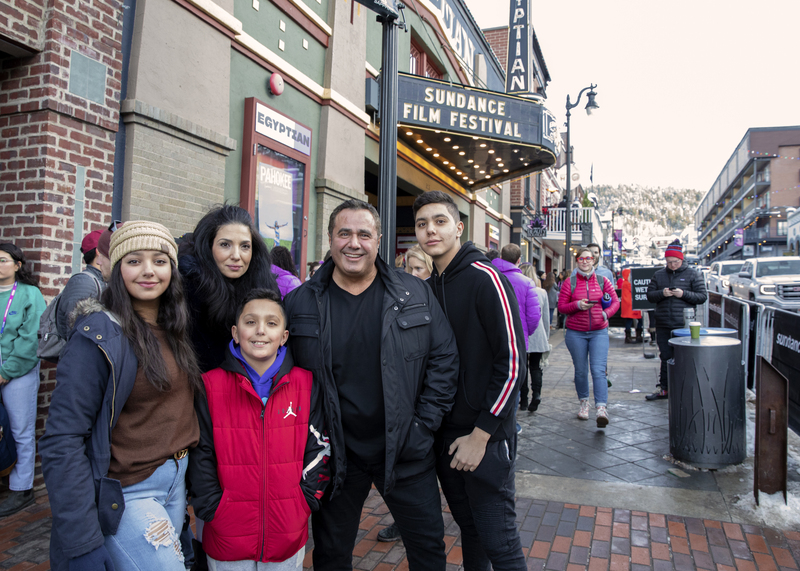 Locals Yasmeen, Diana, Joseph, Iehab, Layth taking in the festival air and taking a family picture at the Egyptian Theater during Sundance 2019. 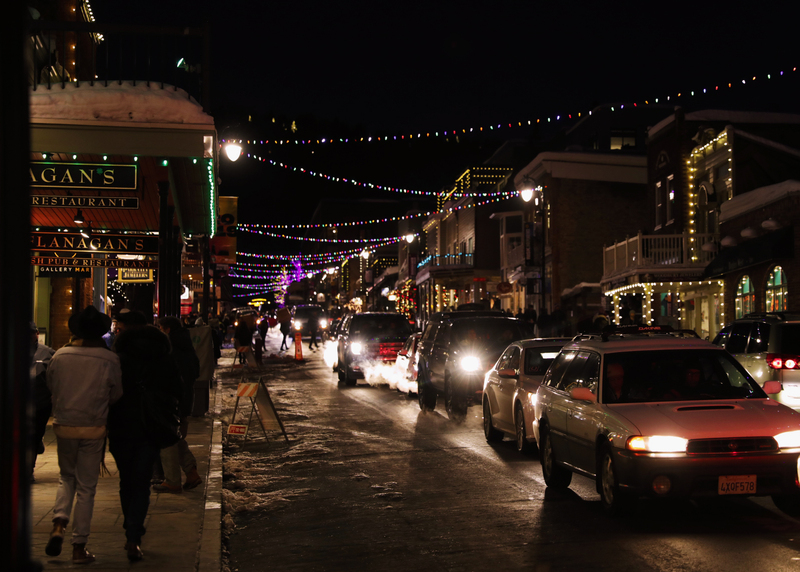 Sundance Film Festival as seen from Main Street in Park City, Utah. #TrafficForMiles. 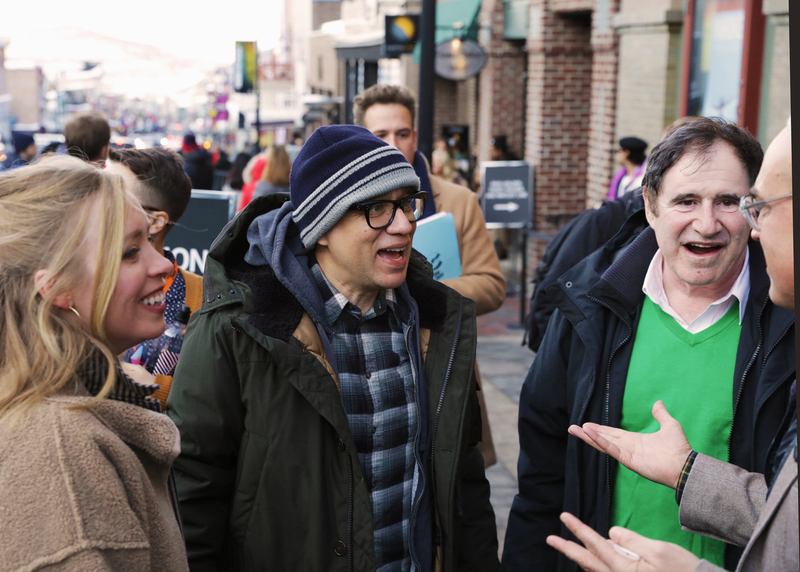 Actors Jenna Elfman with her husband, Bodhi Elfman and Richard sharing a laugh during a Sundance TV event during Sundance Film Festival 2019. 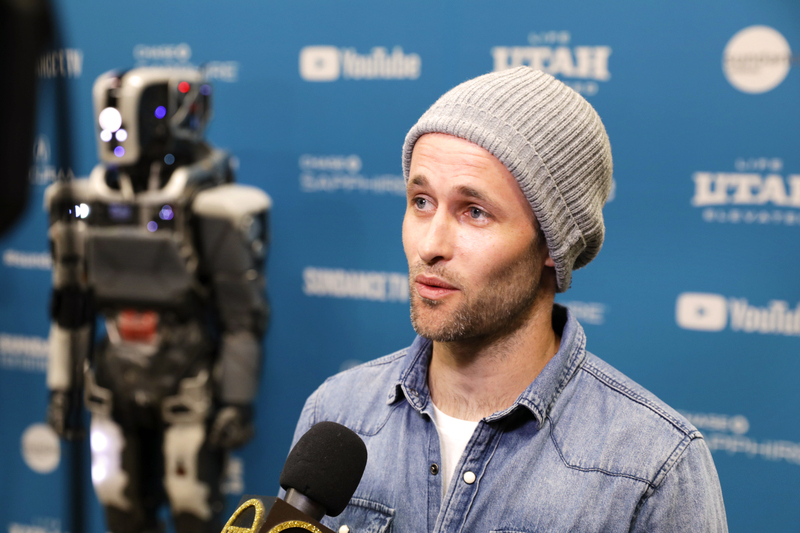 Cast member Luke Hawker of I Am Mother speaking about the process in designing and building the robot and how physical a role it actually is. 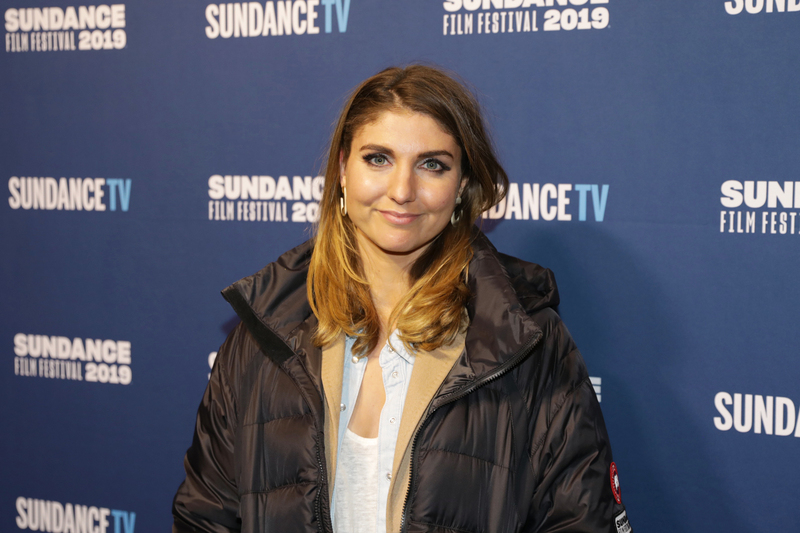 Sierra Rentz is at Sundance Film Fest with her intentions on having a good time. 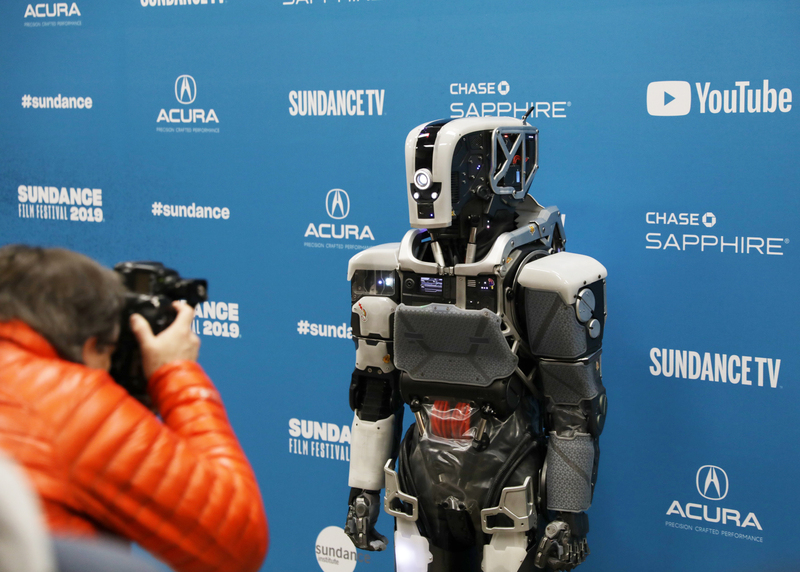 The full size Robot from the film “I Am Mother” shot at the premiere of the film in Park City, Utah. 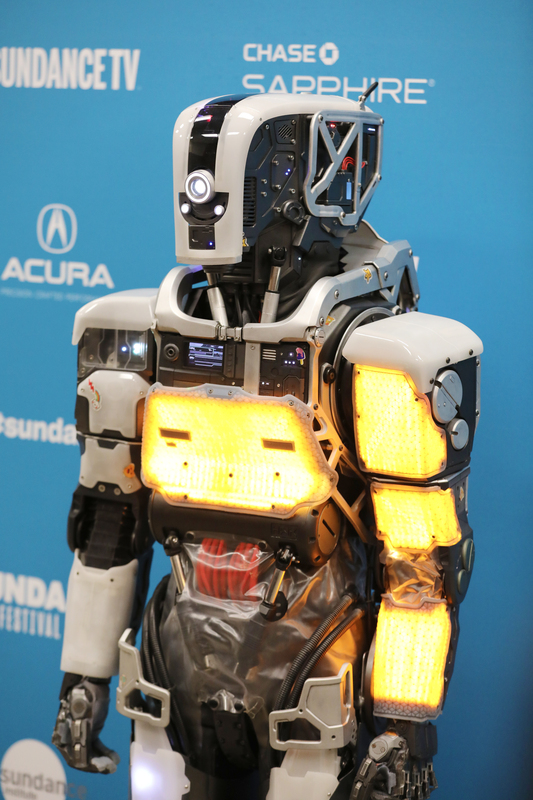 Festival goers awe at the impressive robot created for the film I Am Mother. 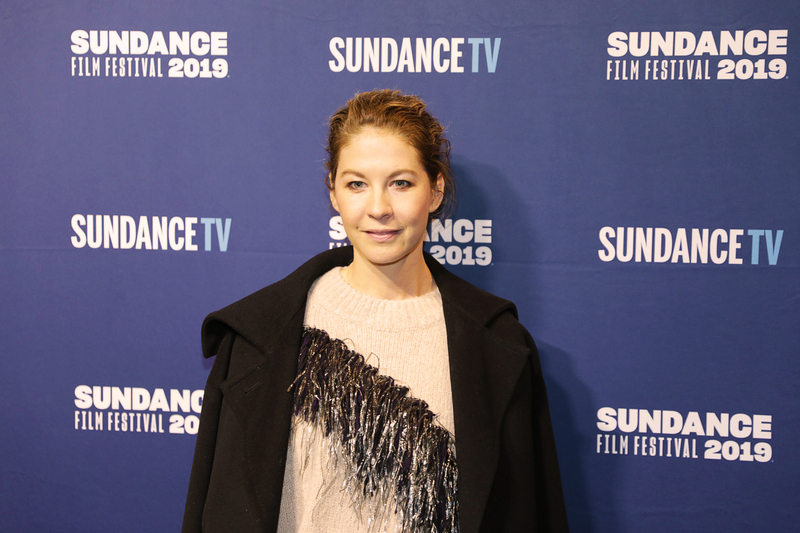 Actor Jenna Elfman at SundanceTV headquarters during Sundance Film Festival. 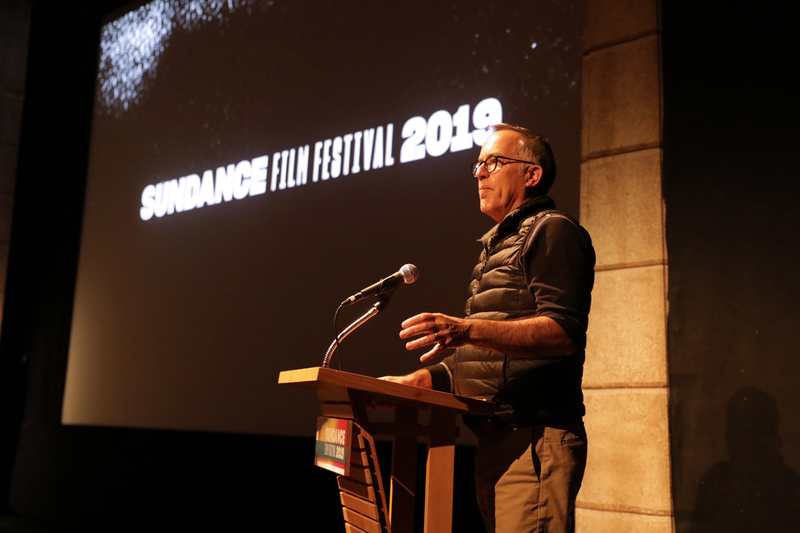 Director A.M. Lukas at the SundanceTV Kickoff Party at Sundance Film Festival. 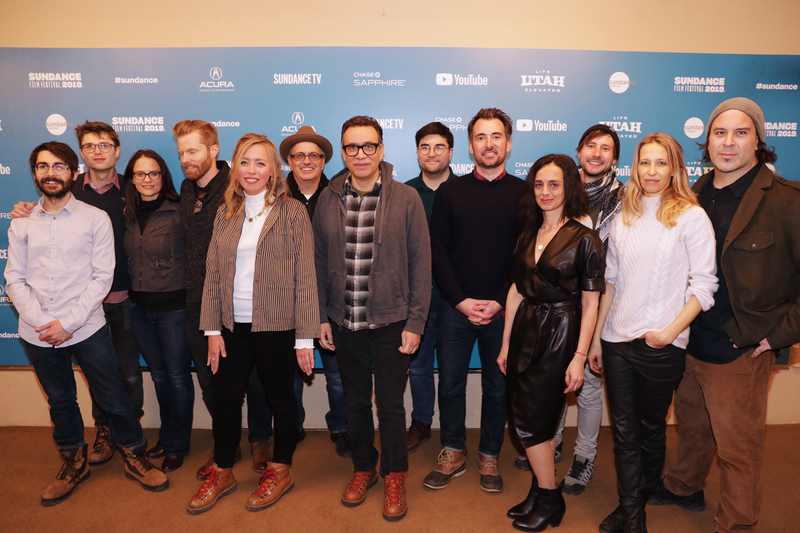 Cast of the latest season of Documentary Now! 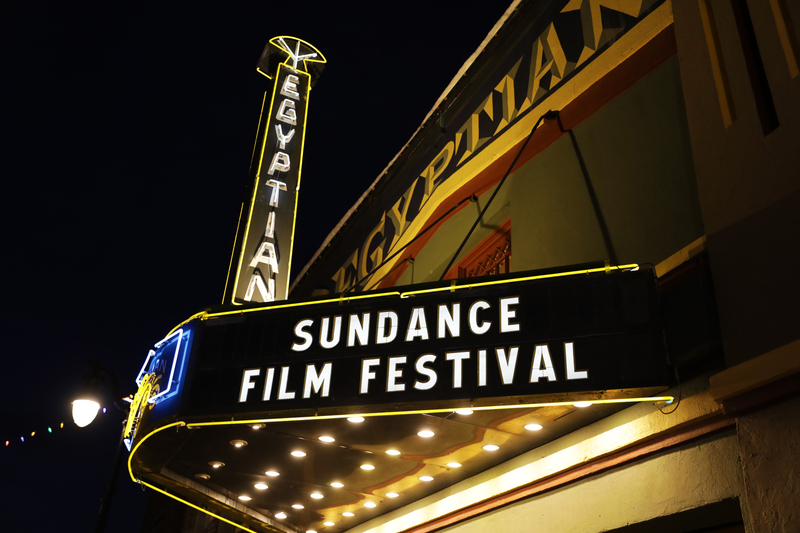 from IFC films arrive at the Egyptian Theater in Park City, Utah for the Sundance Film Festival. 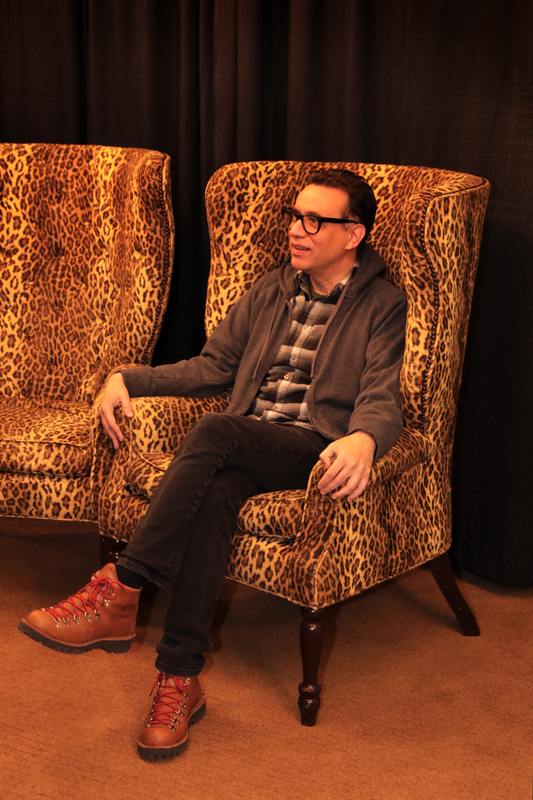 Actor Fred Armisen taking a load off during the press event at the Egyptian Theater at Sundance 2019. Actors Fred Armisen and Richard Kind arrive at the Egyptian Theater just in time for the premiere. 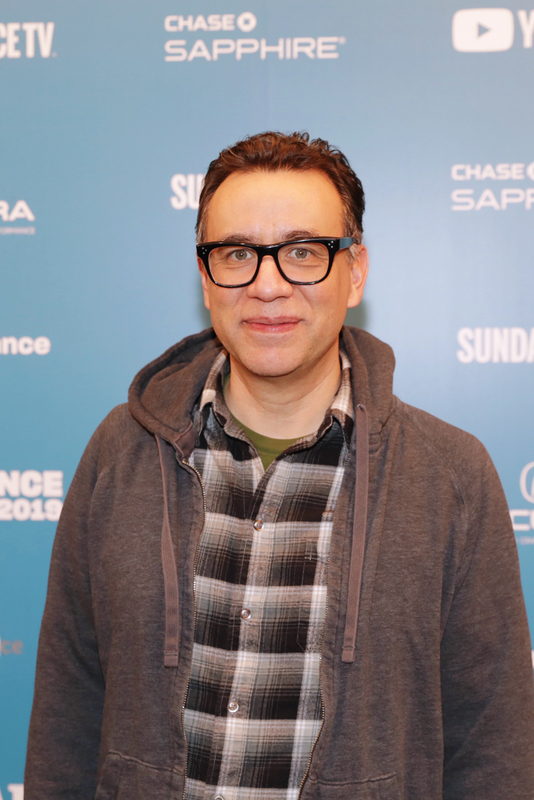 Cast as production crew of Documentary Now! fake smoking at the premiere at the Egyptian Theater in Park City. 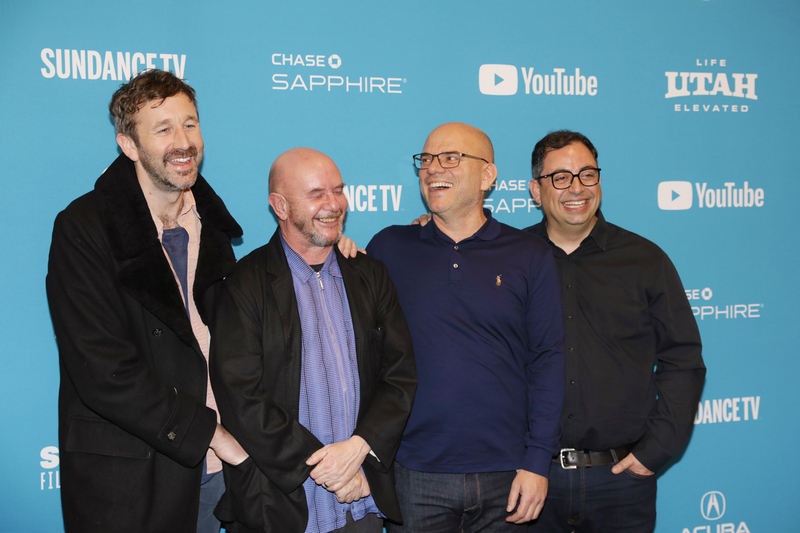 Cast of IFC Films Documentary Now! 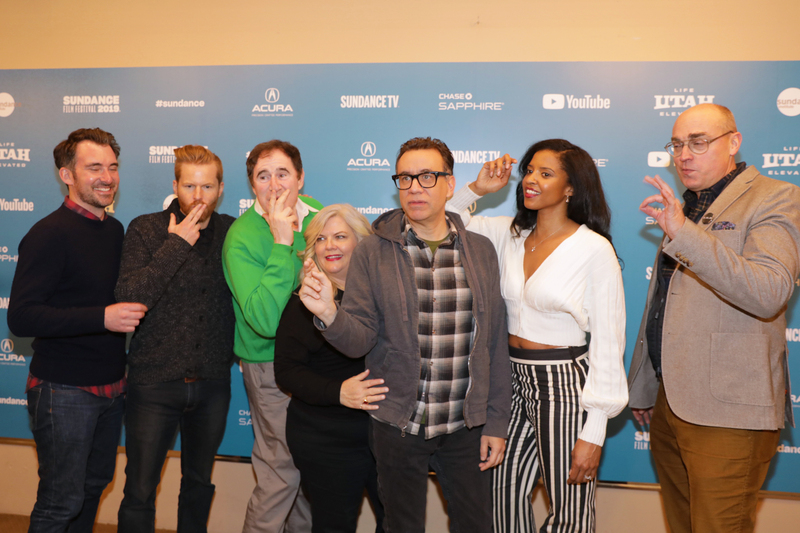 Season 3 posing for a photo at the premiere at Sundance Film Festival. Director of the Festival John Cooper introducing the Directors of IFC’s Documentary Now! Sundance Film Festival Director and actor Chris O’Dowd at the premeire of State of the Union at the Ray Theater in Park City, UT. 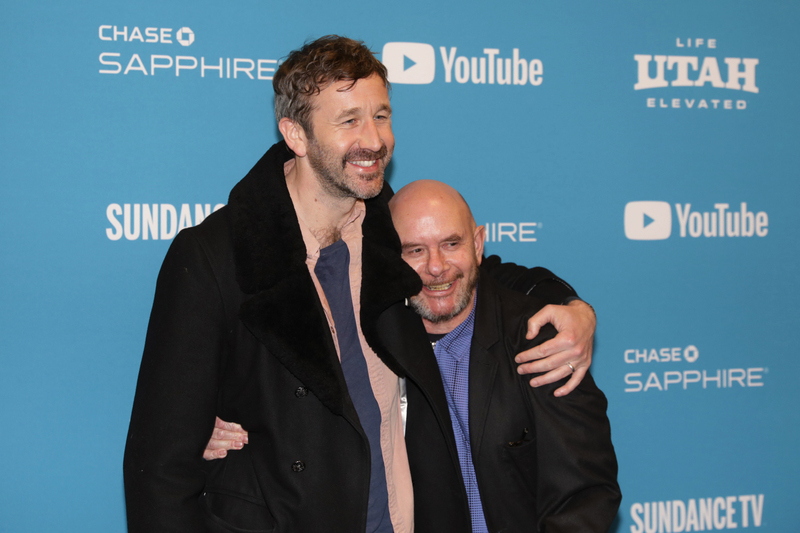 Chris O’Dowd onlooking as Sundance Director John Cooper gives Executive Producer Nick Hornby a smooch at the premiere of State of the Union. 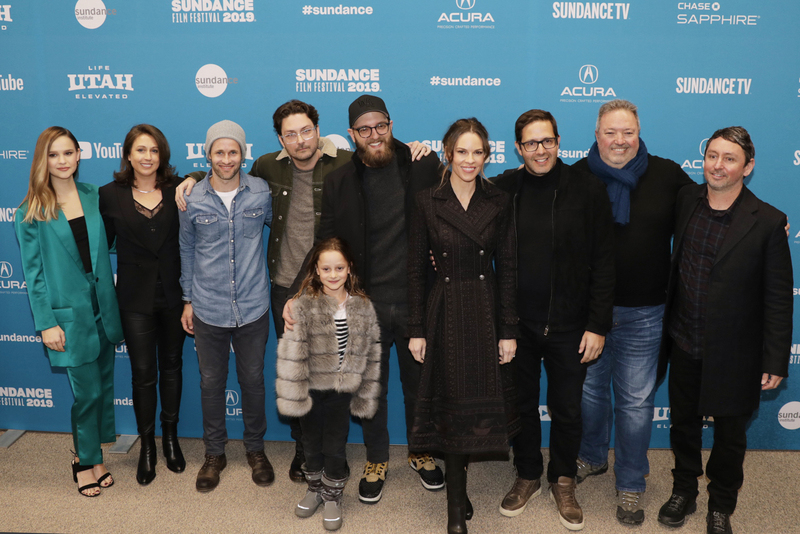 Cast of the film Photograph posing for a shot at the film’s premiere at the Eccles Theater in Park City, UT. 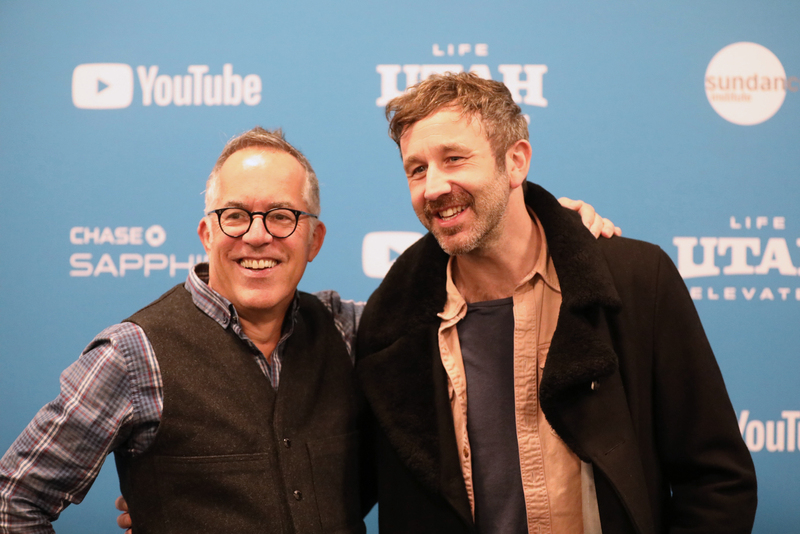 Actor Chris O’Dowd and Executive Producer Nick Hornby at the Ray Theater for the Premiere of State of the Union at the Sundance Film Festival. 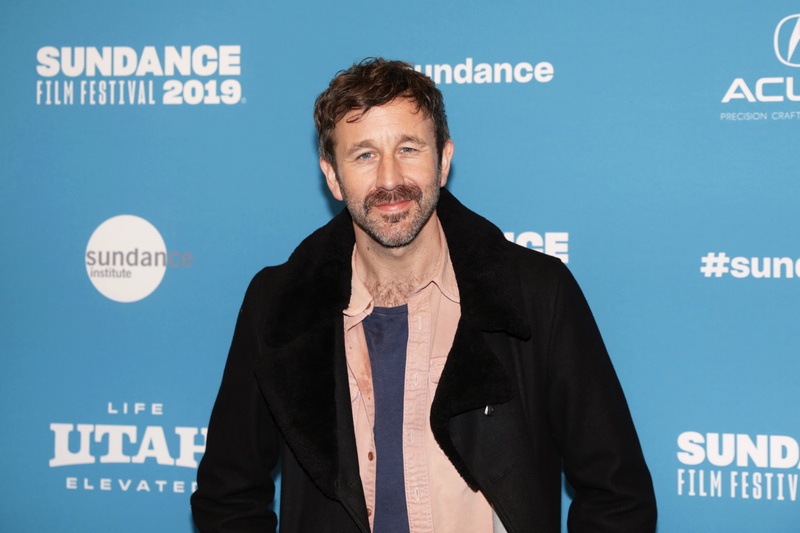 Actor Chris O’Dowd at the Ray Theater for the Premiere of State of the Union at the Sundance Film Festival. 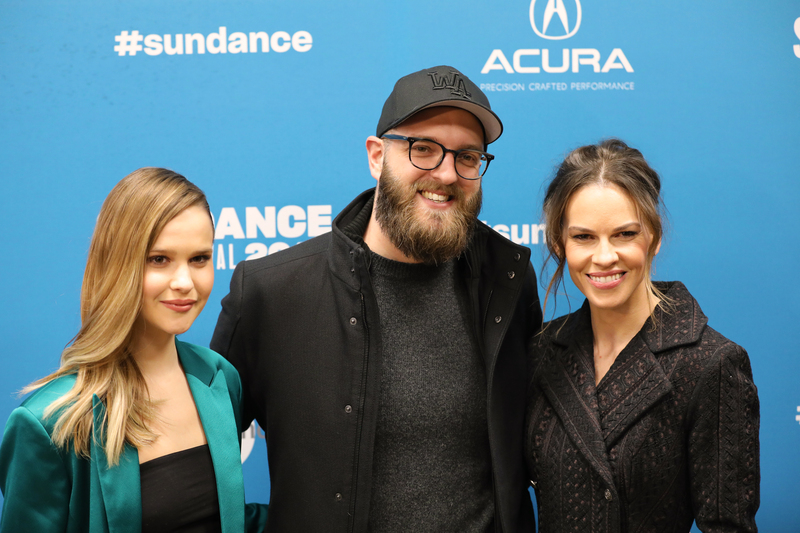 Actors Clara Rugaard and Hillary Swank at the premeire of the film I Am Mother. 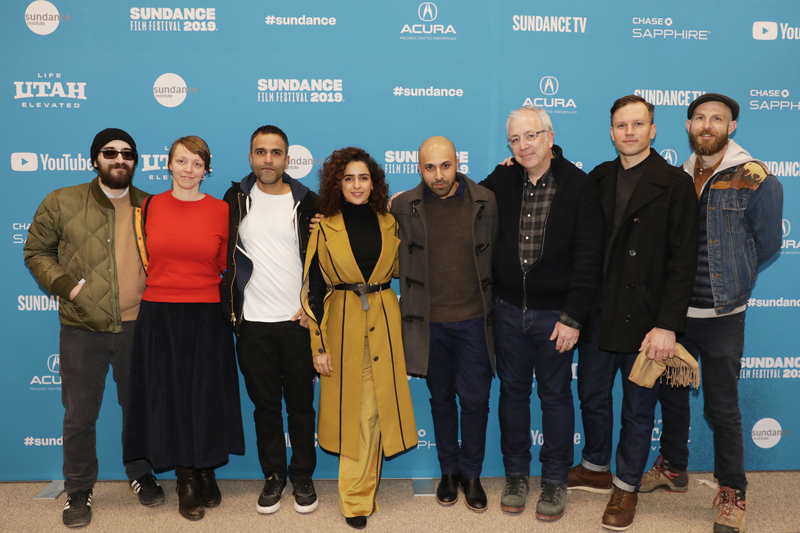 Cast, crew and all the creatives involved in the making of the film I Am Mother shot at Sundance Film Festival 2019 at the Eccles Theater.